(I’m the one in the white helmet!) They get together for hard training every Thursday night at Porlock. 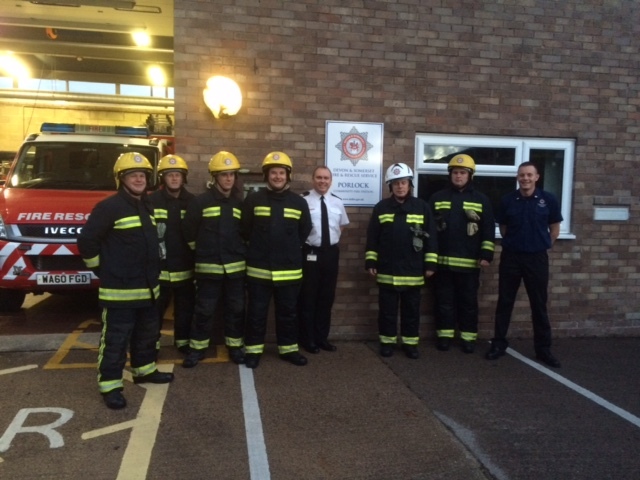 And now they have a new machine with which to hone their skills – a Rapid Intervention Vehicle. It costs less, is cheaper to run and operates best in smaller stations where flexibility is vital. I heard about the RIV earlier this month when I was at the Exmoor Panel meeting with several parish councils. Naturally I was keen to too for myself. 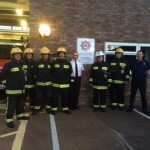 Area Commander Glenn Askew and Station Manager Mark Andrews organised the visit. Cllr Mark Healey, Chairman of Devon and Somerset Fire and Rescue Service came along too.